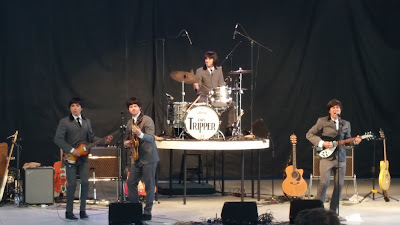 While we digested lunch, we took in one of the temporary live entertainment acts, Day Tripper. They are a Beatles cover band made to look, sound, and act just like the original Beatles. They were pretty good! The show was short (30 minutes) but they got in around a dozen songs; they didn't talk much in between. 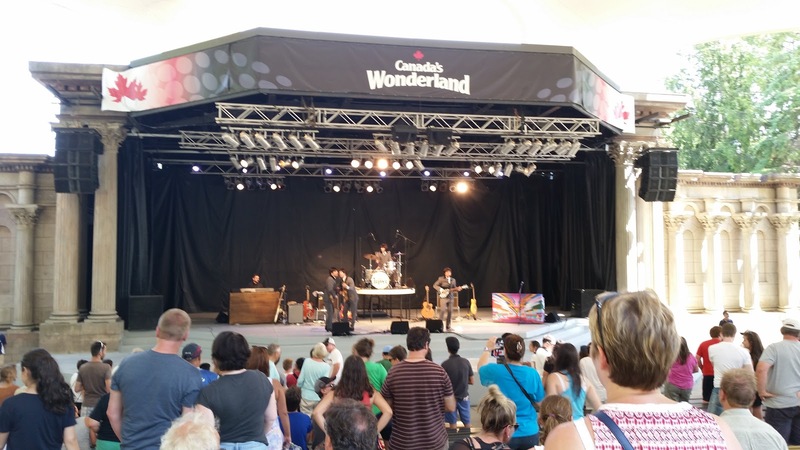 This group was here from July 16-24 and performed 3 times a day (it sounded like they had multiple costumes for different times, and they definitely had more instruments with them on stage than they played). 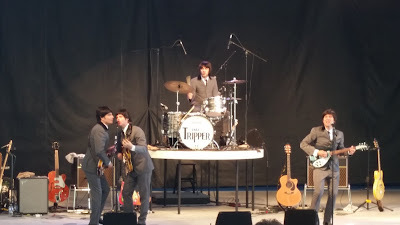 The very next night at Hersheypark we saw/heard the real Paul McCartney performing - pretty cool.